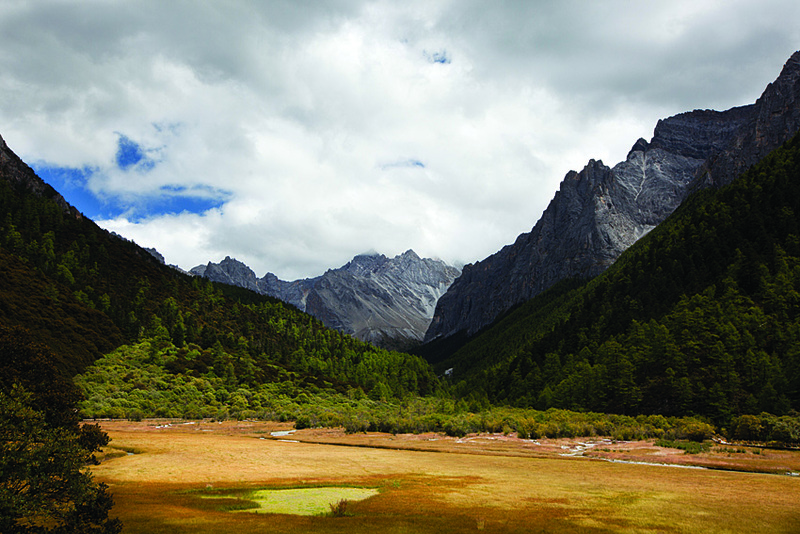 The Pasture, where centuries of pilgrims have camped in Yading, Sichuan Province. Simple huts along the route are used by pilgrims and herders. 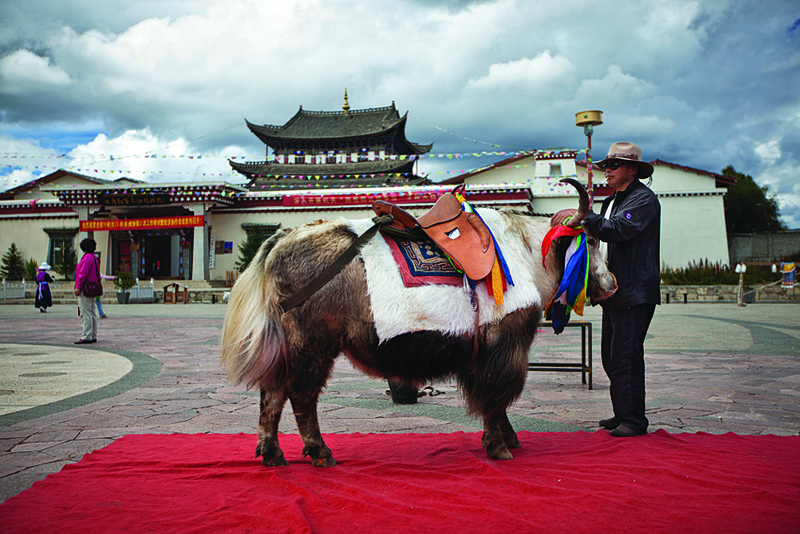 Since being designated Shangri-la touts and guides have flocked to Zhongdian to get their share of the tourist’s dollars. The rooftops of the old town in Zhongdian. 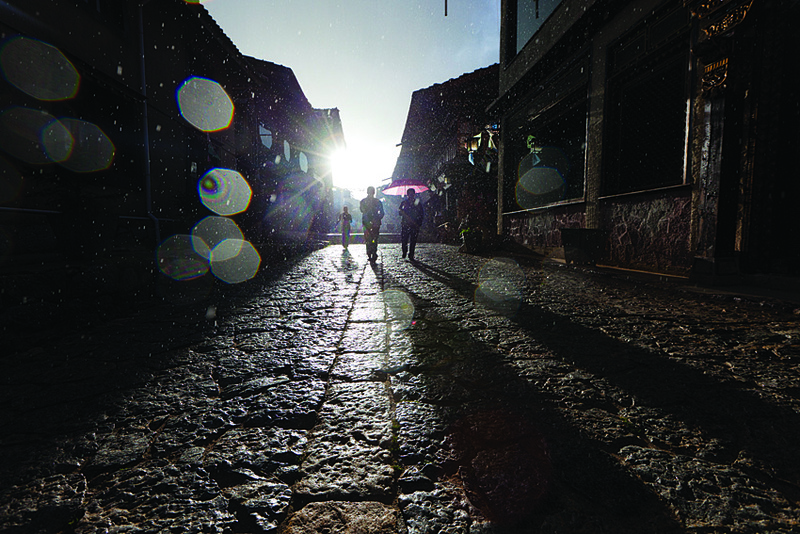 Zhongdian’s old town in a sun-shower as the sun sets. The light was fading fast over the eastern edge of the Qinghai-Tibetan Plateau by the time we finally found shelter in an abandoned yak herder’s hut. All around, the high mountain peaks of the Yading Nature Reserve were mantled in snow, while the valley behind us was green with meadow grass and crisscrossed by slow-flowing rivers of crystalline meltwater. There was not another soul in sight. For the last few hours, the only people we had seen were pilgrims—dressed in long robes, smiling as they fingered their prayer beads—and a few young hikers out for a trek among mountains that many Tibetan Buddhists believe mark the entrance to Shambhala, a mythical kingdom in the vein of Shangri-La, the Himalayan paradise introduced in James Hilton’s 1933 novel Lost Horizon. Enchanting as the scenery is, however, Shangri-La this is not—at least, not according to government maps. In 2001, Zhongdian, a picturesque county in northwestern Yunnan, was officially anointed the “real” Shangri-La, to the dismay of claimants elsewhere in Yunnan, Sichuan, and Tibet. 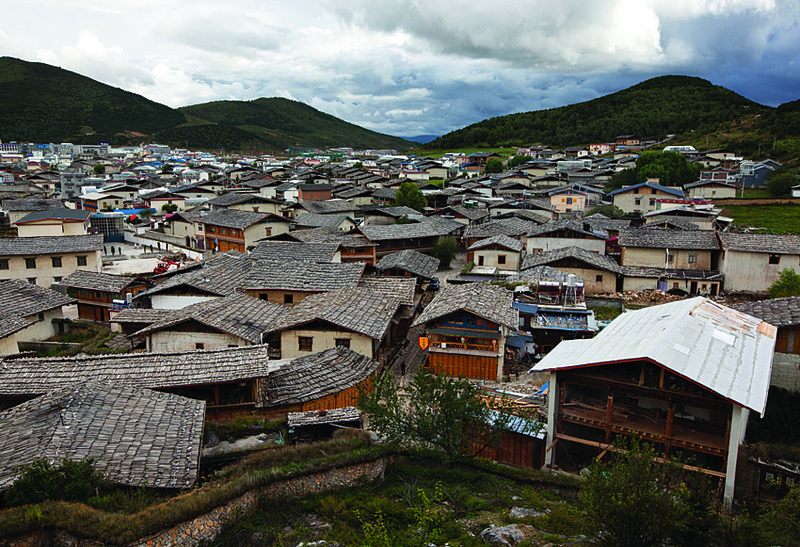 For the local tourism bureau, it was a marketing coup; travelers have thronged there ever since, turning the cobbled lanes and creaky wooden houses of Zhongdian’s Old Town into a bona fide destination. 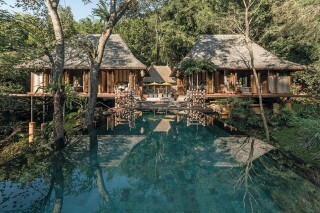 Yet, spend a few days in the place and it is hard not to get the impression that it is far from the “mystical, harmonious valley” described by Hilton. For that, I had decided to head north to Yading. Near the entrance to western Sichuan’s Yading Nature Reserve—an overnight bus ride from Zhongdian along winding mountain passes—a collection of basic guesthouses and hotels is all that passes for tourist digs. 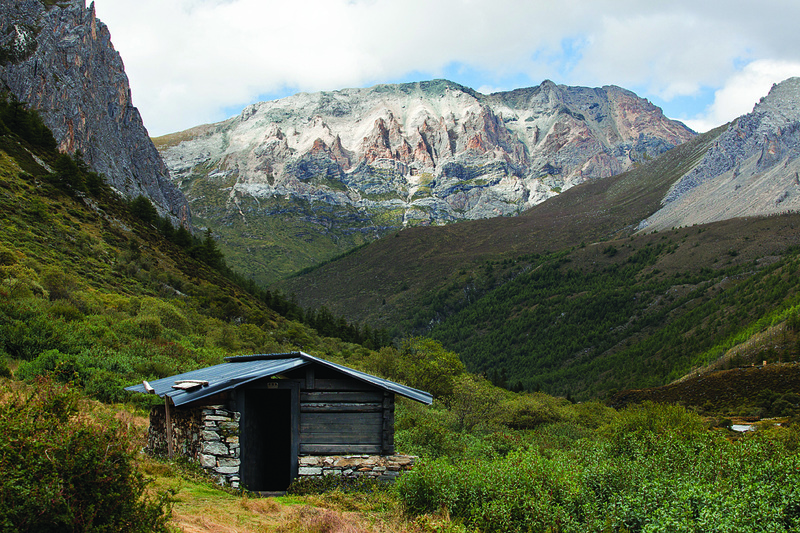 Yading, to put it mildly, is remote: three hours by road from the nearest sizable settlement (Daocheng), and several hours farther from anywhere even remotely developed. Save for those drawn by the spirituality of the place, it attracts only the keenest trekkers. One of the first Westerners to explore the area was Joseph Rock, an Austro-American linguist and botanist who based himself in northern Yunnan from 1922 to 1949. 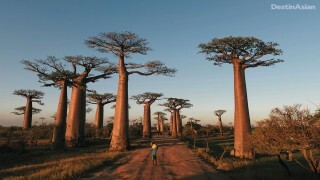 Rock wrote memorably of these highlands in a series of vivid National Geographic articles—“Hunting the Chaulmoogra tree”; “Konka Risumgongba, Holy Mountain of the Outlaws”—that some say inspired Hilton’s novel. A look at the old black-and-white photographs that he took on his expeditions reveals a landscape unchanged from that of today. From the road in, the three sacred mountains at the heart of Yading stand stark against the high blue sky. 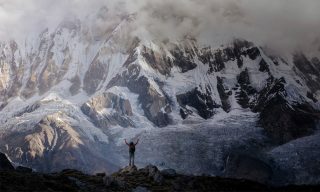 The towering peaks—Jam-beyang, Chenresig, and Chanadorje—have attracted pilgrims for centuries; Tibetan Buddhists believe that those who circumambulate the mountains at least three times in their lives will be blessed with their heart’s desire. 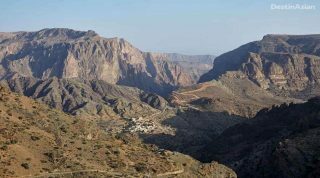 The most devout visitors spend upwards of eight days to make one circuit, staying in huts or pitching tents along the route. I wasn’t feeling quite so ambitious: in the company of a group of European hikers that I met at the trailhead, I planned to spend just one night in the mountains, if only to get a sense of what drew so many pilgrims here. A few hours beyond the cluster of buildings at the reserve’s entrance, the narrow path through the rocks widened and the landscape opened out onto a beautiful plateau. Meadows of tall grass and running streams stretched between rocky outcrops, and all around flapped colorful prayer flags. Chonggu Monastery, built at an elevation of 3,900 meters, has long been one of the principal sanctuaries along the trail. Joseph Rock, who stayed here briefly during a 1922 expedition, dubbed it the Bandit Monastery—a “rendezvous of all the outlaws and bandits” that once roamed this wilderness. Today it’s considerably more hospitable: as I strolled past, an old monk welcomed me inside, eager to show me around the small, hushed complex and its various altars and statuary. Any sense of the mystical was dispelled a few hundred meters beyond the monastery, where a tiny tourism office tempted footsore trekkers with the chance to take an electric bus onward to Luorong Pasture, shaving hours off their hike. My group pushed on regardless, making for the pasture through a steeply con- toured valley, crossing and re-crossing a glacial stream as we ascended. Reaching Luorong (a popular camping spot for pilgrims) ahead of schedule, we kept going for another hour or so, finally calling it a day when we stumbled on the yak herder’s hut. After patching a hole in its roof with branches, we sat outside and watched as the sky filled up with stars. I lay gazing at the heavens long after the others had drifted off; if this was to be my only night in the mountains—and my meager supply of food ensured that it would be—I wanted an eyeful. The next day, having made my way back down to the foot of Mount Chenresig and the shores of Pearl Lake, I sat down with a group of young Chinese office workers from Cheng-du, a two-day drive away. Like me, they were watching the clouds swirl along the ridges, waiting for Chenresig’s peak to reveal itself. One had a vial of holy water around his neck. The long bus ride to Zhongdian (oops, make that Shangri-La) the following day deposited me at a generic terminal in the newly constructed center of town, where nondescript concrete buildings lined a busy central avenue. Facilitated by a new airport and highway, once-remote Shangri-La has boomed over the last decade, and the once predominantly Tibetan population has swelled with migrants from elsewhere in China, now topping 120,000 people. It was a different scene amid the cobbled lanes of the Old Town, however. Smart coffee shops and guesthouses with English-speaking staff have taken residence in the neighborhood’s low-slung wooden houses—many, inevitably, named Shangri-La this or Shangri-La that. Tourists thronged the winding alleys. 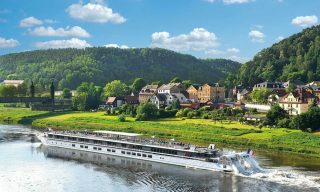 And yet, there was still an air of exoticism, and a sense that the place hadn’t changed all that much since it was a stopover for caravans plying the ancient Tea Horse Road to Tibet. Later that day I climbed a rise to reach Guishan Temple, a centuries-old monastery overlooking the Old Town. Tiled rooftops fanned out before me, and the breeze carried the faint jangle of yak bells. 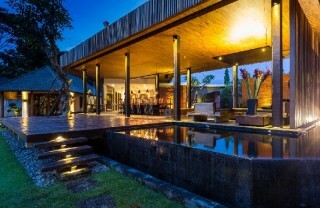 It might not be the utopia envisioned by James Hilton, less still the entrance to Shambhala promised by Yading. But after the long, tortuous ride from the mountains, it was heaven enough for me. Diqing Shangri-La Airport in Zhongdian is served by daily flights from Kunming, the Yunnanese capital. From Zhongdian, it’s a long (12-hour) ride by bus or private car to Yading, but the views along the way offer ample compensation. Or wait until May, when the Daocheng Yading Airport in southwest Sichuan is slated to open. Air China flights from Chengdu to Daocheng, Yading’s gateway town, will reduce travel time to the reserve considerably, and give passengers the thrill of landing at the world’s highest new airport. Nestled in a valley outside Zhongdian, Banyan Tree Ringha (86-887/828-8822; banyantree.com; doubles from US$278) accommodates guests in converted Tibetan farmhouses. Alternatively, Songtsam Shangri-la (86-887/8288-889; songtsam.com; doubles from US$154) is situated near the largest Tibetan monastery in Yunnan.